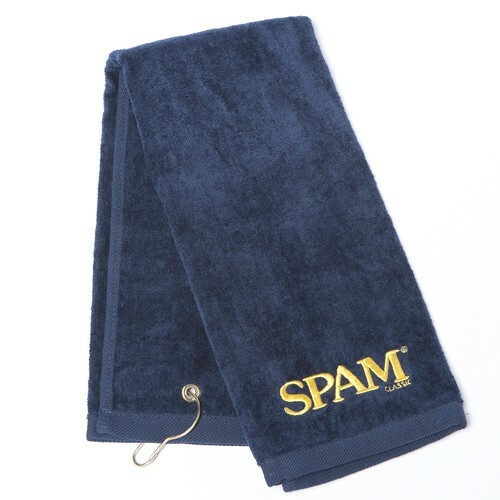 Navy tri-fold golf towel with SPAM® Brand embroidered in gold. 100% terry velour, grommet and hook to hang off golf bag. 16" x 26".